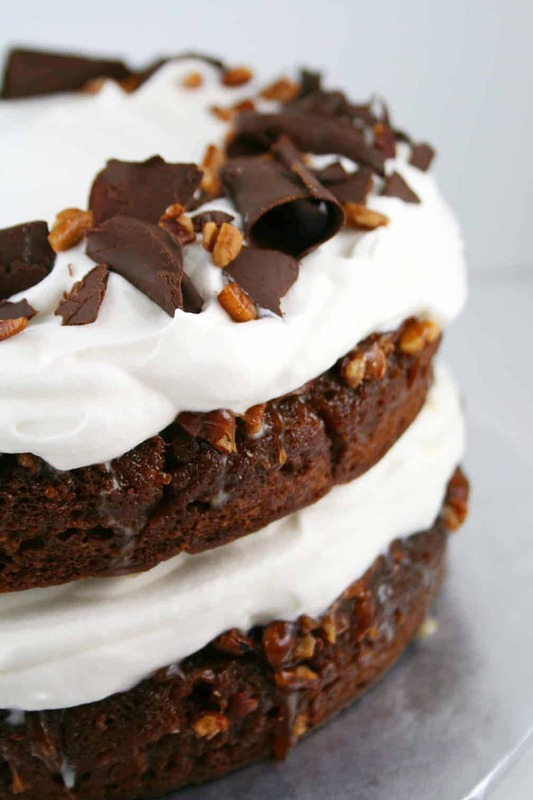 Chocolate Praline Layer Cake won the 33rd Pillsbury Bake-Off in 1988. Recipe on Pillsbury.com by Julie Bengtson of Bemidji, Minnesota. This cake is just as good as it looks. It is one of my favorite recipes of the 52 in my baking project. Start with butter, 1/4 cup whipping cream and brown sugar. Cook over low heat in saucepan just until butter is melted, stirring occasionally. 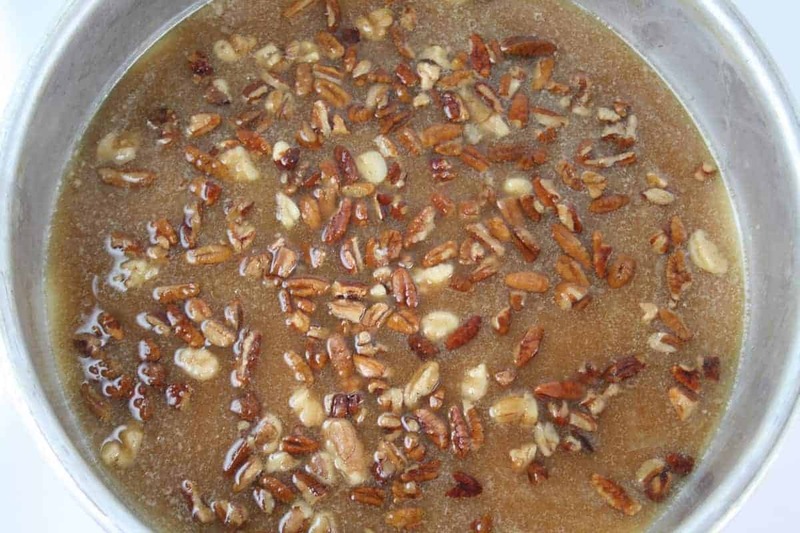 Pour into two 9 or 8-inch round cake pans; sprinkle evenly with chopped pecans. 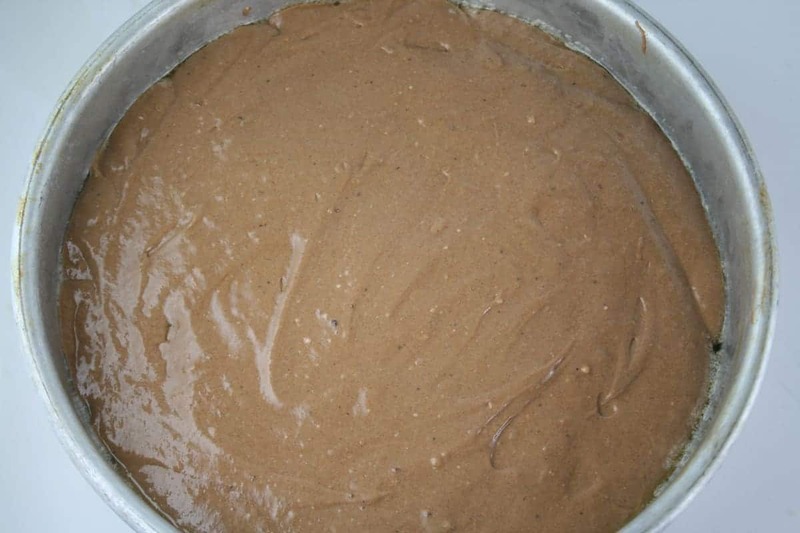 Then you pour the cake batter over the praline mixture. Bake at 325°F. for about 40 minutes. Cool 5 minutes; remove from pans. Now you have a praline crusted cake which is yummy all by itself, but since you want to make it pretty, you add the whipped cream frosting. 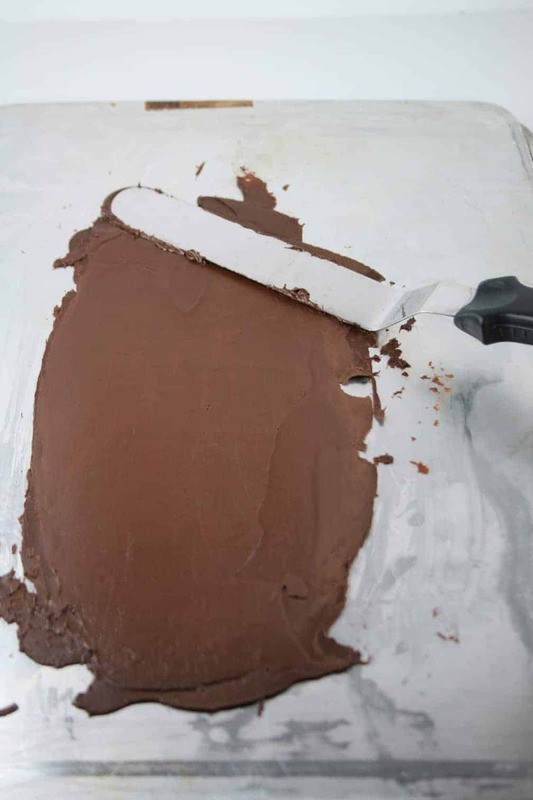 While the cake cools, make some chocolate curls by spreading melted chocolate over the back of a cookie sheet that has been in the freezer for 30 minutes. 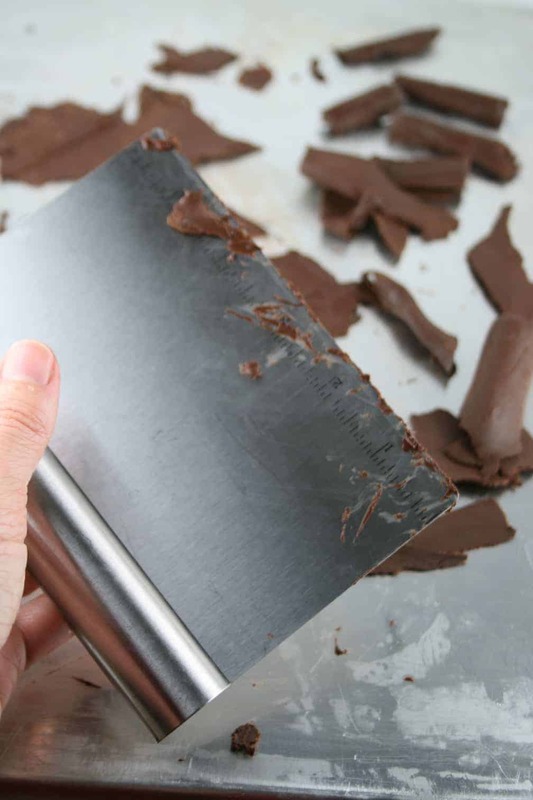 With a bench scraper, scrape the chocolate in small sections to create the curls. 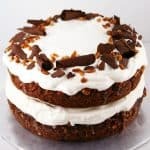 Frost the cake with sweetened whipped cream. Add the curls and more nuts. Serve immediately or store in refrigerator for up to a week. Great for a party! Heat oven to 325°F. In small heavy saucepan, combine butter, 1/4 cup whipping cream and brown sugar. Cook over low heat just until butter is melted, stirring occasionally. 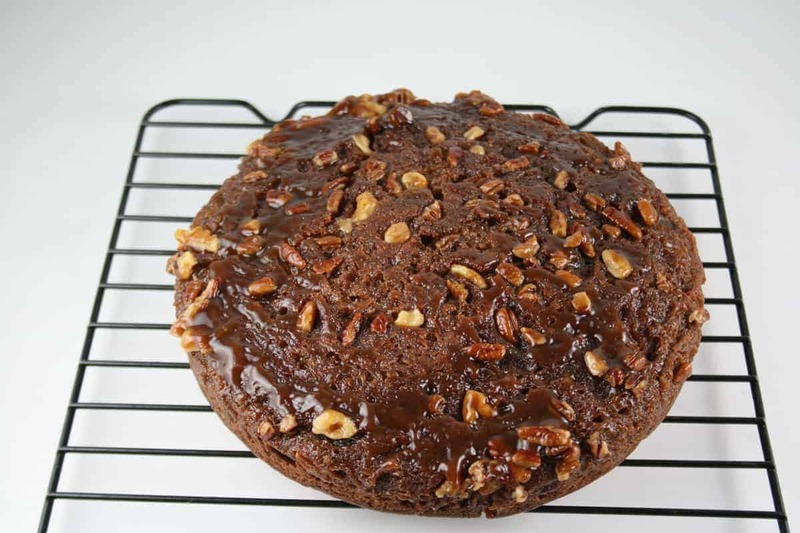 Pour into two 9 or 8-inch round cake pans; sprinkle evenly with chopped pecans. In large bowl, combine cake mix, water, oil and eggs; beat at low speed until moistened. Beat 2 minutes at medium speed. Carefully spoon batter over pecan mixture. Bake at 325°F. for 35 to 45 minutes or until cake springs back when touched lightly in center. Cool 5 minutes; remove from pans. Cool 1 hour or until completely cooled. In small bowl, beat 1 3/4 cups whipping cream until soft peaks form. Add powdered sugar and vanilla; beat until stiff peaks form. To assemble cake, place 1 layer on serving plate, praline side up. Spread with half of whipped cream. 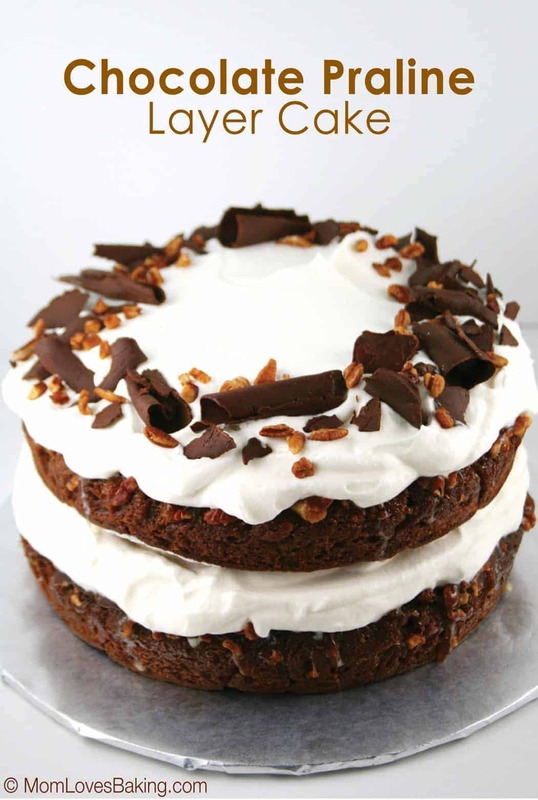 Top with second layer, praline side up; spread top with remaining whipped cream. Garnish with whole pecans and chocolate curls. Store in refrigerator. I’ve made this cake a number of times, particularly when we lived in Minnesota. Now we live in Colorado, near Denver, and I’m struggling with this recipe. First, it takes longer to bake, and the cake is too soft and falls apart when transferred from the pan to a plate. Secondly, perhaps because I have to bake it longer, the caramel/praline hardens too much and won’t come out of the pan. It is also to hard to eat. Can you advise me on high altitude changes? I never lived in a high altitude location. I’m sorry I can’t be of more help. Maybe you could Google it.